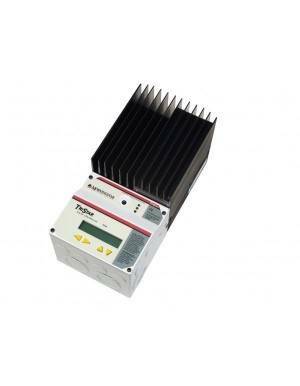 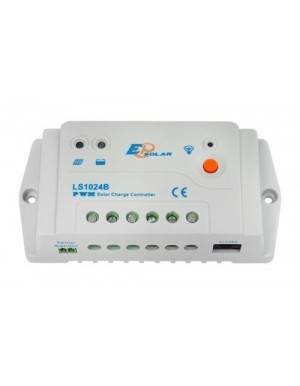 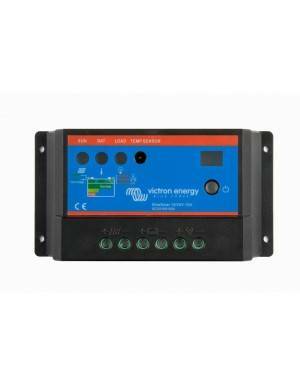 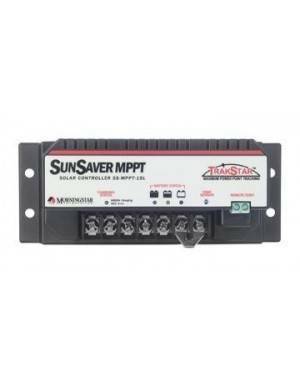 Large solar charge controller from the well-known Morningstar brand. 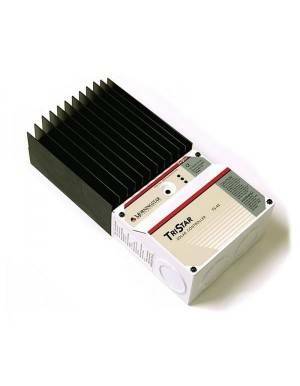 TriStar 45A model to control the charge of a photovoltaic solar panel system, a wind turbine or a hydroelectric generator and thus power a set of 12V, 24V or 48V batteries. 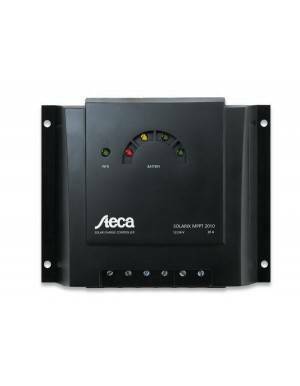 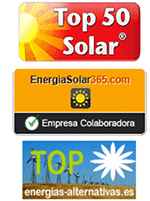 It can handle up to 3 kW of solar panels in 48V systems. 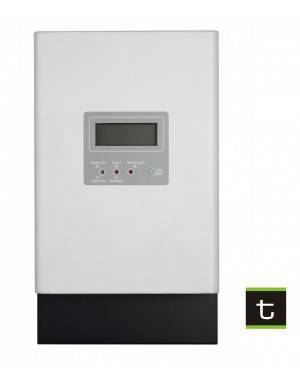 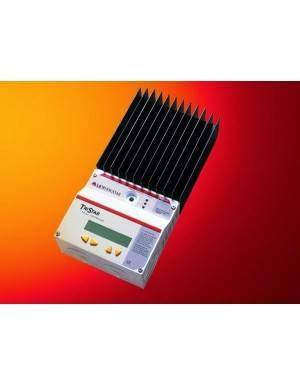 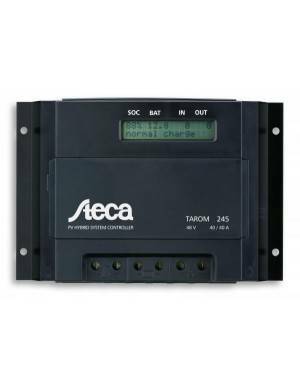 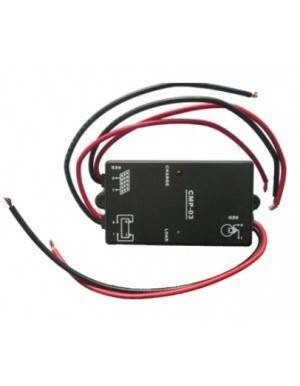 The TS-45 is a controller with three possible operations; reliably supplies a set of batteries from solar energy; performs the control of the electric charge; or allows regulation via diversion. 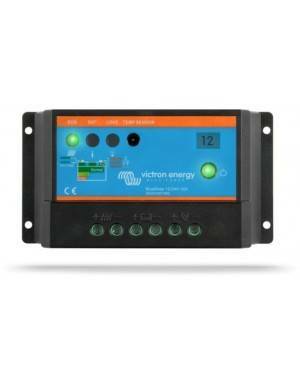 The controller operates in one of these modes each time and several controllers can be used in parallel to provide multiple functions. 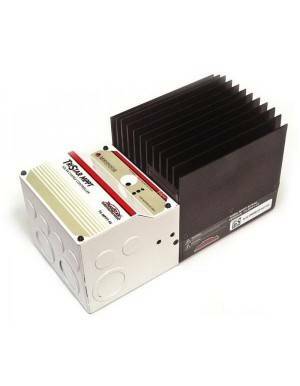 In the diversion mode, in order to protect the battery system from overload, it can divert the excess current to an alternative load.